L NAV: Lateral navigation, this uses 3 different parameters that must be known for it o operate efficiently. Departure position, most navigation systems are initialized with data. They must fix the system to the present position as part of the initialization process. Destination and Route, once a destination has been inputted then many different routes are displayed. 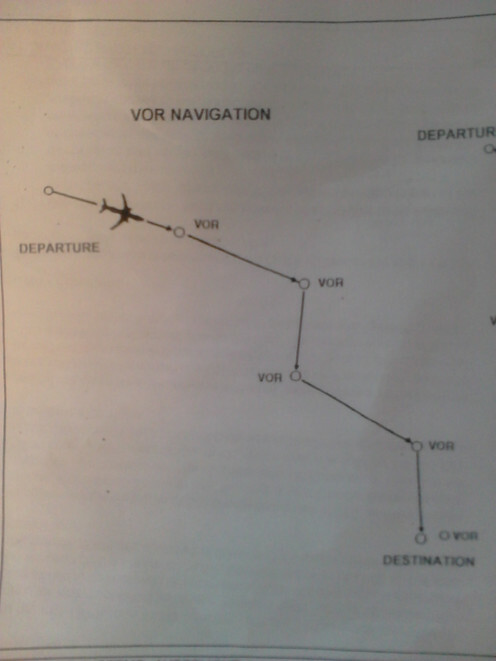 The crew will then select a relevant route according to their flight plan. The route structure consists of waypoints which together form a circle route from departure to destination. The waypoints are updated on a monthly basis and stores in the FMC navigation data base. Current position, this is needed at all times to correct for any deviation from the chosen route. 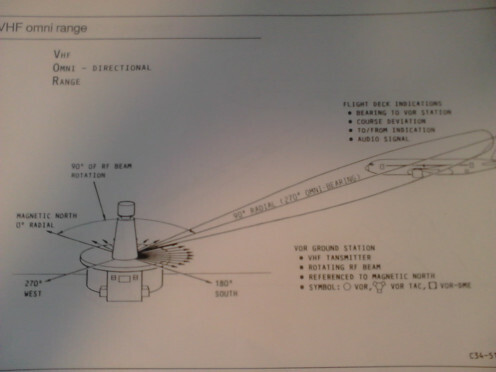 The system compares the current calculated position using data from navigation aids, to the stored route position and corrects for discrepancies. 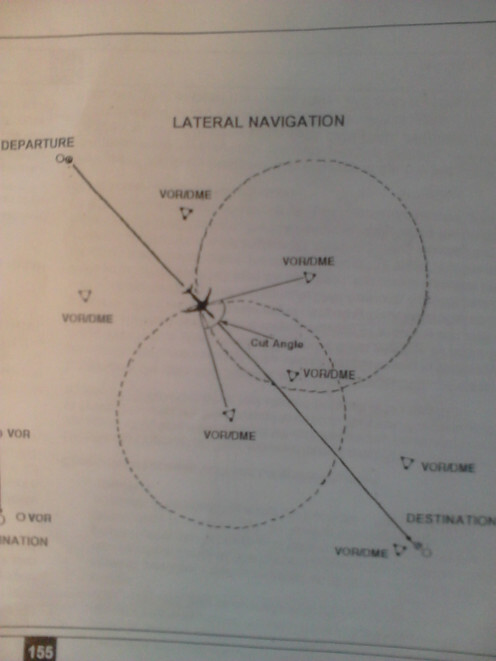 VOR / L NAV: VOR (VHF Omni-directional Range) used to be the main source of navigation until the development of L NAV. 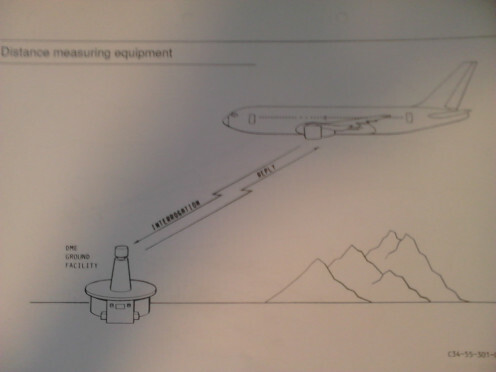 The crew would select a course and then fly along from beacon to beacon, this lead to a route structure that was insufficient and lead to higher costs. L NAV uses the data from navigation aids such as GPS / VOR / DME (Distance Measuring Equipment) to compute accurately the current position without the need of flying to a beacon. Initialization: Before an aircraft goes into flight there is a stage known as 'pre-flight' were both navigation and performance initialization functions are performed by the flight crew (some modern systems use a Data Com). These functions include the fixing of the FMC (Flight Management Computer) and IRS (Internal Reference System) tot he current position, the selection of the desired route and the loading of data used for performance calculations. On completion of 'pre-flight' sequence the FMC displays to the crew on an MCDU (Mode Control Display Unit) take of speeds, climb rating, climb speed schedule, optimum cruise altitude/speeds etc. Take Off: At take-off with the autothrottle or thrust management system engaged, the throttles are driven to a position which will produce the FMC computed take-off limit. During take-off the autopilot is not engaged. Climb: After take-off the autopilot can be engaged with L NAV and V NAV modes selected. The FMC generates roll steering signals to ensure the aircraft remains on the selected route and also pitch steering signals. This is to ensure that the aircraft maintains the computed climb speed schedule. Also the FMC feeds control signals into the thrust control system in order to keep to the computed climb rating (also known as thrust rating). Cruise: During the cruise stage the FMC controls the optimum long term speed via the thrust control system, the L NAV function and the pitch control computer maintains the optimum cruise altitude. Nearing the end of the cruise stage the FMC computes the top and bottom of descent points (TOD / BOD). At TOD the crew initiates the descent phase by selecting V NAV and the FMC controls the descent speed profile via the pitch control computer. Throttles are placed in flight idle mode. This continues until the BOD which is were the approach stage begins, the speed is usually selected via the thrust control system but can also be determined by navigation systems. At some point during this approach autoland is initiated but they can choose to fly the aircraft themselves, depending on weather. Autoland is more complicated and will be discussed in a later hub. Performance Management: This deals with the computations associated with the aircraft's speed and engine thrust during climb, cruise, descent and approach phases of flight. Speed Schedules: The FMC computes speeds to meet one of a number of available speed schedules e.g. to operate at speeds that minimize fuel usage (Min fuel), or to minimize direct operating costs (ECON). Sometimes it is also used to operate at a fixed or manually inserted schedule, i.e it follows a given database. Cruise Optimization:The longest section of an aircraft flight path is the cruise stage, therefore this is were you can achieve the maximum savings. There is a particular mach number called ' Optimum mach number' that is required to maintain this speed. Thrust Control: The FMC controls the aircraft's full thrust settings via the A/T (autothrottle) or thrust management computer. The aim of the FMC is to maintain a given take-off or climb rating. Inside the FMC is a performance database which has stored the aircraft and engine parameters, drag and fuel factors, operational limits and a cost index. Using this stored data and the pilot input of dynamic data like reserve fuel amount etc, the FMC can calculate optimum values of speed, engine rating and altitudes for each phase of flight.